Lucky for us, there are vaccines to help prevent many illnesses that affect dogs and cats. Vaccinating has long been considered one of the easiest ways to help your pet live a long, healthy life. Not only are there different vaccines for different diseases, there are different types and combinations of vaccines. Vaccines help prepare the body’s immune system to fight the invasion of disease-causing organisms. Vaccines contain antigens, which look like the disease-causing organism to the immune system but don’t actually cause disease. When the vaccine is introduced to the body, the immune system is mildly stimulated. If a dog or cat is ever exposed to the real disease, his immune system is now prepared to recognize and fight it off entirely or reduce the severity of the illness. Vaccines are very important in managing the health of your pet. That said, not every dog and cat needs to be vaccinated against every disease. It is very important to discuss with your veterinarian a vaccination protocol that’s right for your pet. Factors that should be examined include age, medical history, environment, travel habits and lifestyle. Most vets highly recommend administering core vaccines to healthy dogs and cats. In 2011, the American Animal Hospital Association’s Canine Task Force published a revised version of guidelines regarding canine and feline vaccinations. The guidelines divide vaccines into three categories—core, non-core and not recommended. – Core vaccines are considered vital based on risk of exposure, severity of disease or transmissibility to humans. – Non-core vaccines are given depending on the dog’s exposure risk. Dog Core Vaccines: Canine parvovirus, distemper, canine hepatitis and rabies. Each state has its own laws governing the administration of the rabies vaccine. Some areas require yearly rabies vaccination. Other areas call for vaccines every three years. An up-to-date canine rabies vaccination is a legal requirement. Be sure to keep proof of your dog’s rabies vaccines with his medical records. How Often Should My Adult Dog or Cat Be Vaccinated? Your veterinarian can best determine a vaccination schedule for your dog or cat. This will depend on the type of vaccine, your pet’s age, medical history, environment and lifestyle. Some adult dogs and cats might receive certain vaccines annually, while other vaccines might be given every 3 years or longer. When Should My Puppy/Kitten Be Vaccinated? If his mother has a healthy immune system, a puppy/kitten will most likely receive antibodies in mother’s milk while nursing. Puppies and kittnes should receive a series of vaccinations starting at six to eight weeks of age. 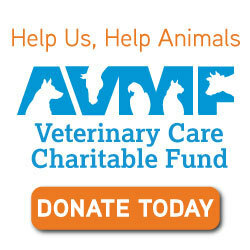 A veterinarian should administer a minimum of three vaccinations at three- to four-week intervals. The final dose should be administered at 16 weeks of age.